Re entry and rebuy tournaments, also occasionally referred to as WEEEE!buy and WEEEE!Entry tournaments, are two poker tournament variants that have grown immensely in popularity as of late (especially Re Entrys). They occasionally garner the WEEEE! tags in homage to the lovely sound you make on a roller coaster ride thanks to the tumultuous and wild twists and turns usually associated with these formats. A lot of players bleed money in rebuys and re entries by overthinking their strategic adjustments. We’re going to dive and barrel roll head first into these tournament types today and discuss how to correctly alter our strategy so that we stay profitable and are able to crush these formats. As always, we should start by defining both of these formats so that we’re all on the same page as to what we’re talking about. A Re Entry Tournament is a variant that allows busted players to buy back into the tournament, effectively starting from scratch as if you are a completely new player. You will almost always be given a brand new seat and given the same starting stack you got when you first entered. Rebuy tournaments, on the other hand, allow players to rebuy while at their table, similar to reloading your stack in a cash game. A player who rebuys stays in the same seat and is not treated as a new player but just a player that is reloading their stack. In most rebuy formats, you can even rebuy when you’re under a certain threshold of chips and/or add on a certain amount of chips regardless of your stack size (more on the strategy implications of this later). Since the strategic implications of re entry tournaments are all over the place, I think it’s be best to attack them in a list format. Re entry tournaments are effectively just regular tournaments with tougher fields. Professionals and more serious players will typically be prepared to re enter tournaments at least one time, if not more. Amateur players are on average less likely to do so and are more likely to just head home when felted. For this reason, re entry tournaments result in a larger amount of good players remaining when the re entry period concludes. This shouldn’t be a deterrent to play the tournament, but is certainly something to take note of. Some people will play re entry tournaments like they are rebuy tournaments. Re entry tournaments don’t differ strategically from freezeouts as much as some people think, but that doesn’t stop some players from playing a much looser style knowing they can just buy back in. These players want a bigger stack that gives them the best chance of running deep in the tournament, and are willing to take the risk of having to hit the ATM to get it. This is not an advisable strategy in re entry formats, but players who use it exist which makes it worth keeping in the back of your mind. Don’t undervalue your first entry just because you have a second entry in the reserves. Just because you came prepared to re enter the tournament does not mean that you have to use it. I see too many players that have several buy-ins or have financial backers for tournaments playing poorly with their first buy in because they have a second one waiting. Playing a bit looser can be strategically ok in some spots, but you should never play differently just because you have another buy in behind (think how silly this attitude would be in cash games!). Playing overly loose will result in a lot of wasted buy-ins and squandered opportunities. It does not make you any cooler when you get to say you bought in to a tournament 13 times. I hear a lot of players almost brag about how many times they bought in like it’s a badge of courage. If you’re someone who seeks out financial backers for tournaments, this is also not something you want to be bragging about doing. No one wants to back the guy or girl that has to get top 3 in every tournament just to break even. Let’s lay out the common types of rebuy tournament rules so we can proceed a bit more intelligently into the associated strategy. This format of rebuy is one where you have to have zero chips to be able to rebuy. This should be treated strategically just like a re entry tournament because it is effectively the same except you stay in your same seat with your same table. 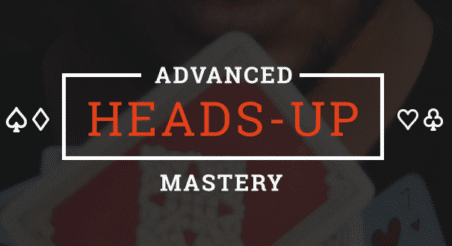 This format allows you to rebuy anytime you have equal to or below the starting chip stack. For example, if you start with 10,000 chips you can rebuy at 9,999 chips, you can rebuy at 10,000 chips, but you can’t rebuy at 10,001 chips and so on and so forth. This does mean that you have the option of rebuying as soon as you sit down. You would then get another 10,000 chips and start the tournament with 20,000 chips. 1R1A Tournaments stand for One Rebuy One Add-on. As the name suggests, these tournaments allow players a single rebuy in the allotted rebuy phase and a single add-on in the allotted add-on period (usually a tournament break at the end of the rebuy phase). Unlimited Rebuy Tournaments are much more common. These allow for any number of rebuys to be taken by any player during the rebuy phase. Add-ons are often associated with rebuy tournaments. Add-ons allow any player, regardless of stack size, the option to “buy” an additional block of chips at the end of the rebuy period. The amount of chips is typically better value and more than a standard rebuy/starting stack, making it a good buy for almost any player. Prepare for looser play from your opponents. Many years ago, Daniel Negreanu said the best player in the tournament should be ok rebuying as many times as they want. People have taken this to extraordinary clownish heights over the years. People refuse to fold any draws and are prepared to get their entire stack in with superbly marginal holdings. What can we do to exploit this? Push your big hands very aggressively. It is not the time to slowplay. If they aren’t going to fold their draw for any amount of money, then force them to put in every penny possible when we have a big hand. Keep in mind this only applies to those players that are playing extremely aggressively during the rebuy period. You’ll find your fair share of these players, as the percentage of people doing so has gotten nuts over the past few years. Don’t try and bluff (much). If people aren’t going to fold and are looking for opportunities to gamble and amass a big stack, bluffing is a death sentence for your stack. Just be patient and know that these crazy gamblers are just going to get crazier and take more gambles as the end of the rebuy period approaches. There will still be some good spots to bluff and fight for pots, but avoid going for the big bluff against the station. Expect bad beats. This one is more for your mental state and staying off tilt. It’s important to realize that with all these people taking crazy chances and getting it in badly, there are going to be a lot more gross beats. If you’re prepared mentally for this, it will sting a lot less. Just know in the long run it will work in your favor, even if you have to endure some short term bad beats. Remember that you’re still playing poker. For some reason, people tend to forget during the rebuy period that you are still playing poker. They take any strategy they know, any reading abilities they have, and they completely throw them out the window and click into gamble mode. This might be somewhat fun and feel like that fun roller coaster ride but for the most part it’s not going to be very profitable in the long run. There is no need to bleed off chips in bad spots just because all the cool kids with hoodies are doing it. Take the instant rebuy and the add-on. These are +EV chips that you should really take advantage of. In the beginning of the tournament, it’s effectively a full double up without having to do anything special. If you can’t afford the rebuy and add-on you should probably pick a different tournament to play. By skipping the easy chips you’re going to be at a severe disadvantage against all the other players. I know rebuy tournaments can be very enticing because the prize pools can get huge but there’s no reason to get in one if you are already going to be starting from a disadvantaged point. Ultimately, re entry and rebuy tournaments are fantastic formats that can typically generate a lot of big prize pools and are a lot of fun play. Just remember that after the rebuy and re entry periods, it’s just a normal ole freezeout poker tournament again. A lot of people will struggle to make that adjustment and will continue to be out of control long after the rebuy period ends. Our ability to not lose our minds during the rebuy and re entry periods and subsequently adjust coming out of those periods is what will make us profitable, winning players in these formats.